Express your happiness with your friends on Friendship day on FaceBook by posting a heartfelt happy friendship status message. 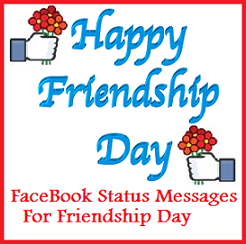 Read on to find the perfect FaceBook status messages for happy friendship Day. God is really good because He did something special for me, and that is when He bless me with a friend like you.Happy Friendship Day! They say, true friend is hard to find but I am lucky to have you. Thank you for being such a true friend and staying with me through thick and thin. 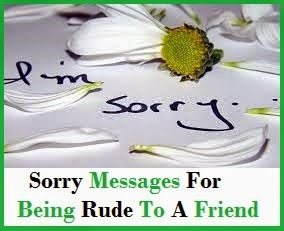 Thank you for being nice to me all the times. 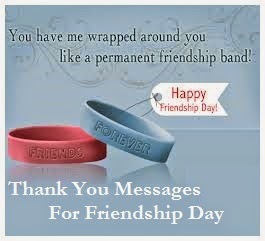 I will treasure you forever as my friend.Happy Friendship day! I want you to know that you are one of the best blessings I ever received from heaven. You are indeed a good friend. Happy Friendship day! You laugh when I laugh and you even cry when I cry. I think that’s the real essence of friendship.Happy Friendship day! A friend like you is hard to find and I hope we will always remain friends forever. Happy Friendship day! 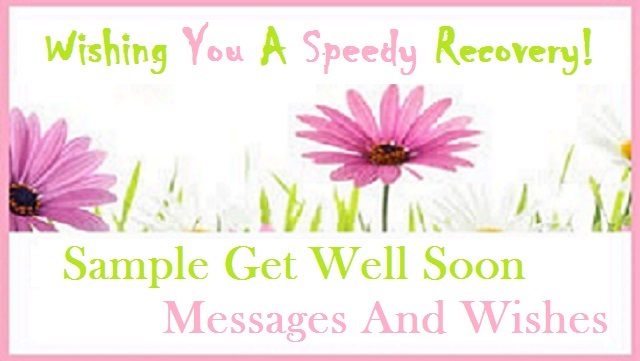 You are such a nice person and a friend like you is rare to find. Let’s treasure the friendship we have and I hope we can be friends forever. I love the way you smile when I’m sad and I love it when you try to make me laugh when I’m down. Thank you for being my strength and hope every time I need someone to lean on. You are my best friend indeed. Happy Friendship day! A true friend never disappears in times of difficulties. You are really great. I’ll give you an A+ for being an excellent friend. 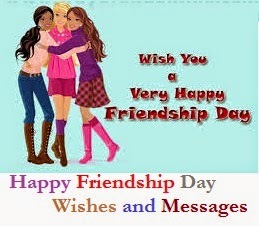 Happy Friendship day! We’ve been through many trials and we’ve shared millions of smiles and laughter, you never failed me as a friend and I hope I did well too as your friend.Happy Friendship day! Every day I see thousands of people around me, thinking that I have to be thankful because of the thousands people I found you. Now, we are friends and I will keep our relationship forever. 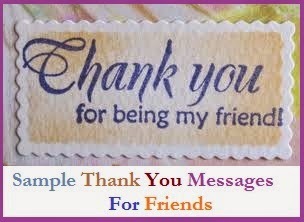 Thank you for an awesome friendship we have. You are like the stars in the night that shines on me to give hope. You are simply an amazing friend. Our friendship has been tested for years and by many trials. I just want you to know that I’m happy knowing that you are my friend. Stay as sweet as you are! Through the years, we’ve shared laughter’s and tears that made our friendship stronger and more meaningful. Lets promise to be true friends forever.Happy Friendship day!